1 bunch organic coriander diced, stems and all. Peel organic potatoes and place in a pot of boiling hot water. Boil until soft, approx. 25 minutes. Roll lemongrass with palm of hand on the table and peel off the outer layer. Peel ginger and add to Thermomix or blender with coriander, lemongrass and salmon. 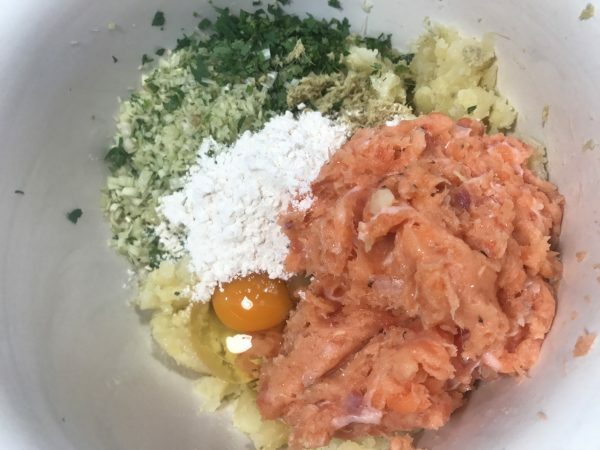 Remove and place all ingredients in a large bowl. Meanwhile remove boiled potatoes and mash with a fork. 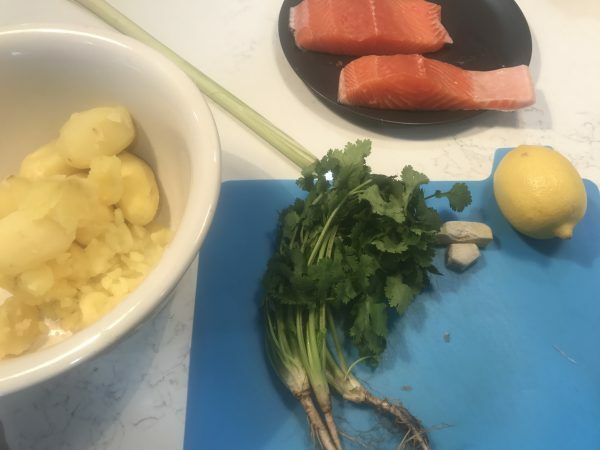 Add potatoes and all other ingredients to ginger, coriander, lemongrass and salmon mixture. Combine well. 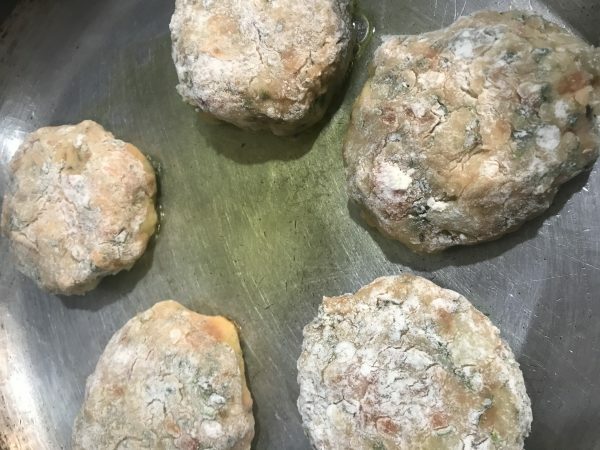 Shape mixture into patties and dust with flour. Heat oil in frypan. Add patties and cook for 5 minutes each side or until golden. Remove from pan and place in pre-heated oven for 5 minutes. Remove from oven and garnish with coriander leaves. 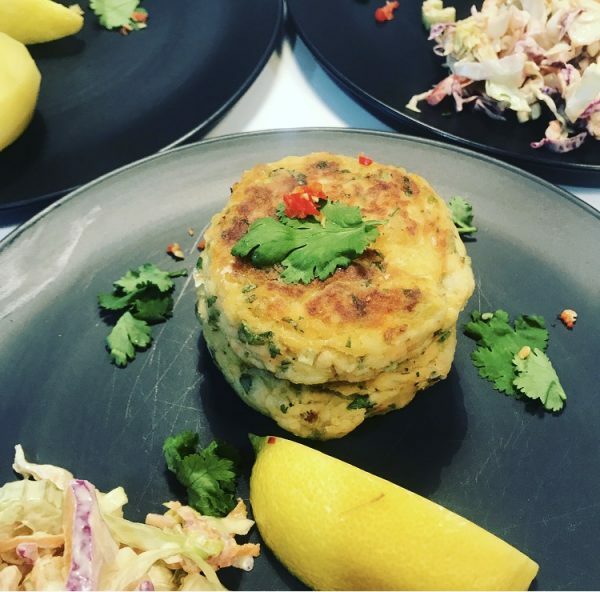 Serve with a side salad and a wedge of lemon. 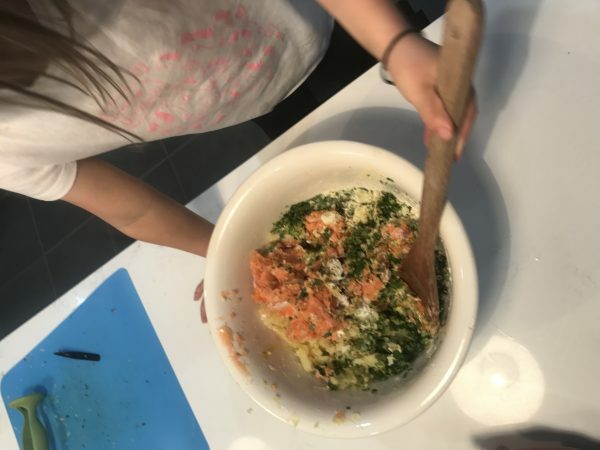 In preparation for meat free monday tonight on the blog we share with you a jamie oliver inspired salmon pattie recipe with my grandmas little twist! 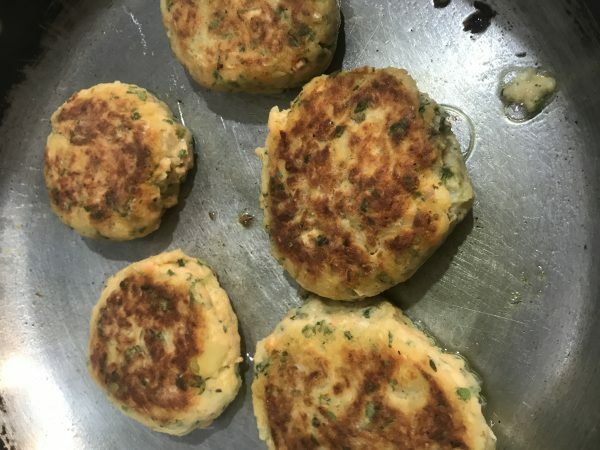 This entry was posted in Blog, Recipes and tagged Salmon Patties.